The Heintz vineyard continues to enthrall us with its unique personality and depth of fruit intensity, making this bottling one of our most eagerly anticipated each fall. 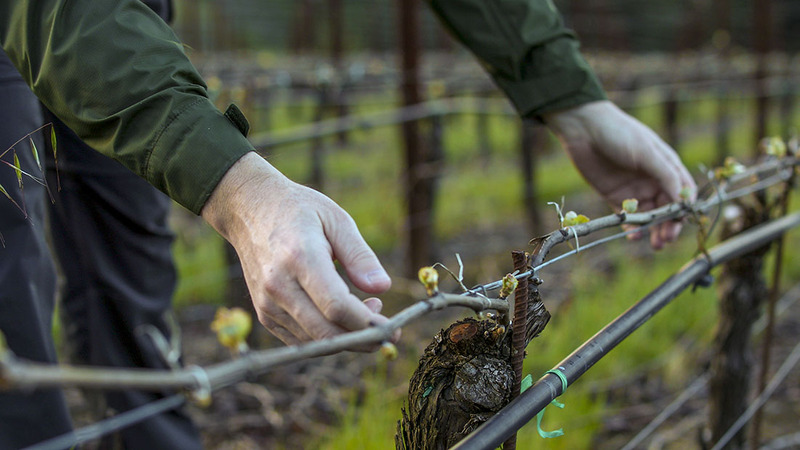 Due to its coastal proximity and cool site, the vineyard experiences what must be one of the lengthiest growing seasons in California or anywhere, budding out in late February and harvesting in mid September. This provides the opportunity to selectively harvest according to what one is trying to achieve in the bottle. Thus we harvest an early lot that provides steely minerality and structure, a middle lot that layers on the richness and weight, and finally a late-picked lot that offers up a dazzling array of super-intense aromas and flavors. The 2004 blend combines one-third of the first pick with two-thirds of the final pick to give us a blend which we feel best represents the vineyard in the 2004 vintage. The remaining barrels are a critical part of our RRV chardonnay blend. In the cellar, the high natural acidity of the vintage ensured a prolonged malolactic fermentation of six months adding an additional layer of textural richness to the wine. During a full eighteen months in barrel, we allow the wine to steadily feed off the original fermentation lees instead of actively building up the wine with lees stirring. This less intrusive approach maintains freshness and prevents any sense of artificial heaviness from creeping into the wine. This is one of our most age-worthy releases to date with a real sense of soil character and great penetration to the finish. Light green-gold color. Captivating aromas of perfectly ripe orchard fruits, flint and honeysuckle. The palate is immediately intense and concentrated with a deep sense of steely minerality, compelling earthy, hazelnut richness and superb density. Shows great finesse on the long penetrating, stony finish. Age for a year and drink over the following 7 years. Decant in its youth to allow the wine's full range of flavors to shine and serve no cooler than 55 degrees.